Hey, dolls! Over the weekend I did a little shopping over at Sephora, and while checking out at the register I received my beauty insider birthday gift (my birthday was on the 1st of March). 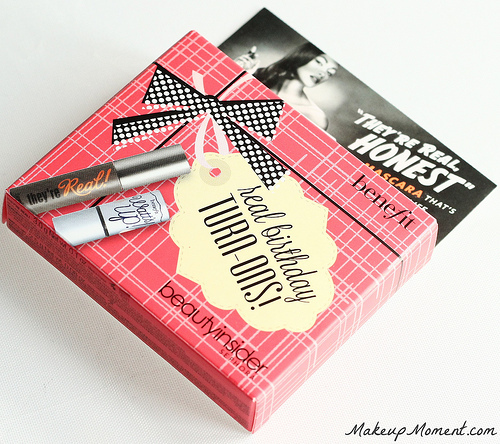 Last year my beauty insider birthday gift was Fresh's Sugar Kisses Mini Lip Duo, and this time around I got a super adorable Benefit set which contains deluxe miniature sizes of They're Real Mascara, and Watt's Up! Highlighter. I am really pleased with my birthday beauty treats this year and I can't wait to see what Sephora has in store for next year's beauty insider birthday surprise. They're Real Mascara: I recently reviewed this mascara on here, and if you read my review you may remember that I didn't get on very well with this mascara at first. But now, we are like the best of friends! This does pretty much everything I look for in a mascara. 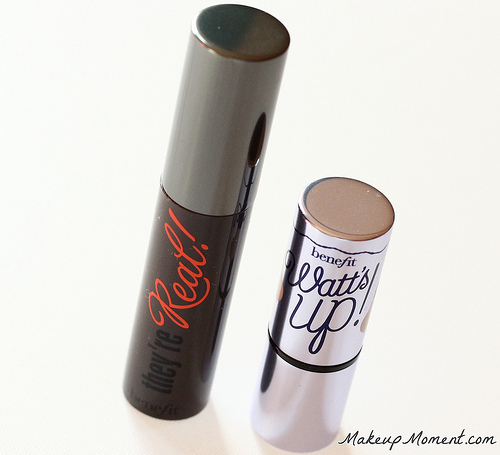 It lengthens, volumizes, and defines my dull, frumpy lashes in a flash. 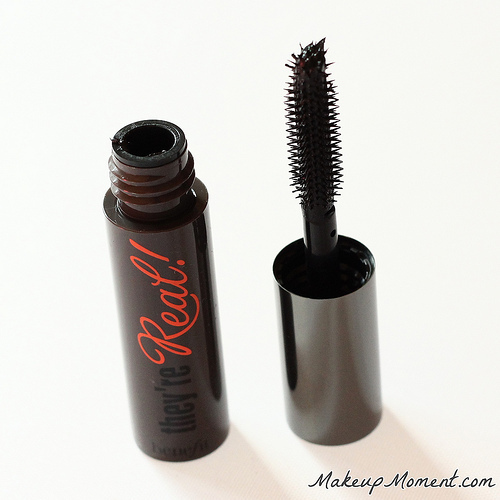 They're Real has become one of my favorite mascaras. I just love it! Watt's Up! 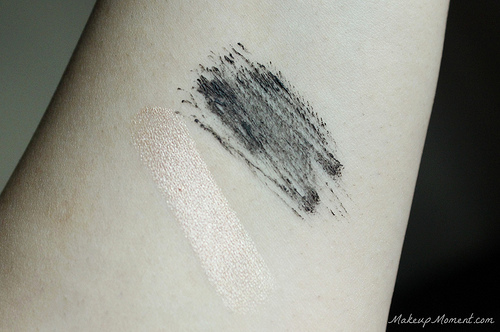 Highlighter: I am so happy to have received this highlighter in the set because it's one that I have been longing to try for quite some time. I have always used powdered highlighters so this was actually my first time trying a cream highlighter and I have to say, I am very impressed. Watt's up! contains a smooth, creamy texture that makes application and blending a cinch. The frosty golden champagne color is very flattering on the skin, and a bit of this on top of cheekbones imparts a pretty luminous radiance, that doesn't look overbearing. 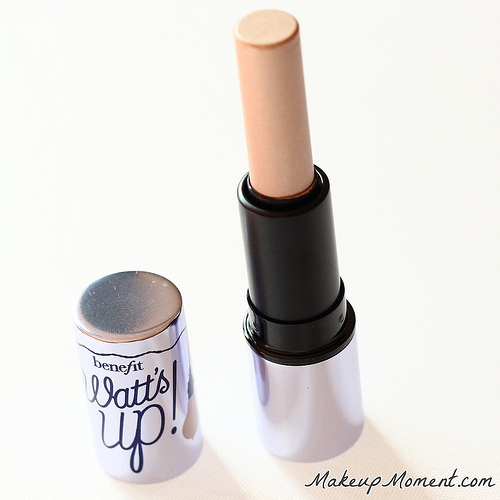 If you are looking for a quick and effortless way to highlight, Watt's Up! surely won't disappoint. I just know I am going to sport this loads come summer. Have any of you tried these items from Benefit before? What do you think of them? Thanks! I am so glad to hear that you are loving Watt's Up! Isn't it such a gorgeous highlighter? And so easy to use, too!